These round wooden awards shields are ideal for individual prizes or awards. 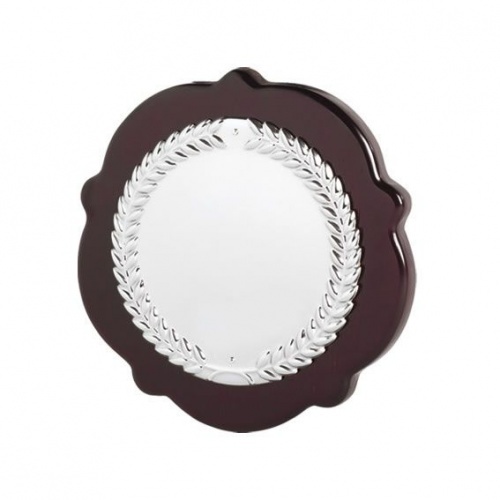 They feature a dark wood shield with a circular silver colour plaque with laurel wreath border. Standing 2in (50mm) tall, awards are offered with low cost engraving.